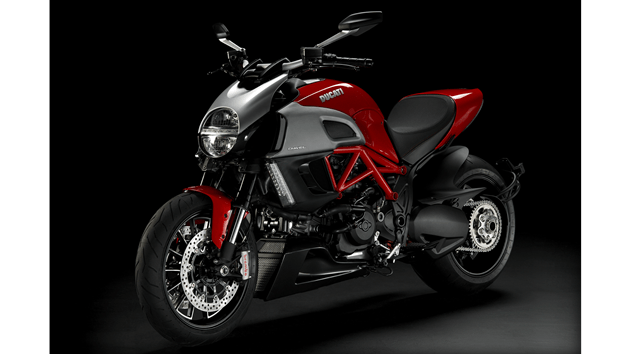 Ducati Diavel sold out | IAMABIKER - Everything Motorcycle! Almost 5000 of Ducati’s ground-changing Diavel performance cruiser have been built to date with the bike sold out in most major markets until September. The Diavel completely changed the perception of the cruiser market by offering the styling of a cruiser but with the performance, handling and braking of a superbike along with a 160bhp V-twin. Ducati aimed to make 8000 in the bike’s first year of production but this may have to be increased as 4700 have been built in four months of full production with an official 3200 registered around the world. There are still a large number of official registrations to be collated by importers around the world and reported back to Ducati in Italy. Of the 4700 built, just over 2800 (60%) are the more expensive Carbon versions.